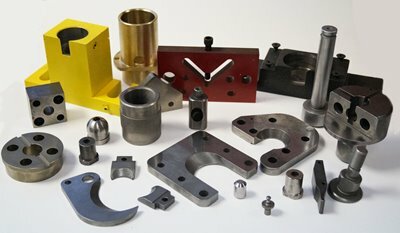 We manufacture standard and custom ironworker punches and dies for steel fabricating equipment. We can also help with your contract manufacturing needs. 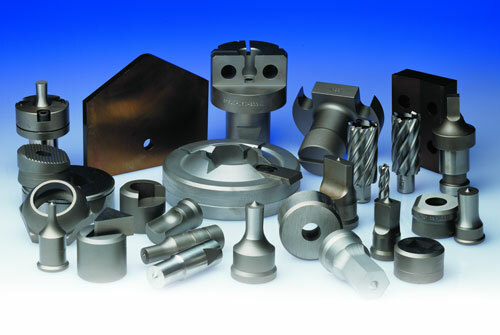 Cleveland Steel Tool is your ideal manufacturing partner. We'll take your toughest jobs off your hands. We manufacture tooling for any Ironworker. Choose from our thousands of standard styles and sizes, in stock and ready for immediate shipment. Need punches, dies, shear blades or other tooling for a specific machine? Steel saws from 7-1/4" to 15", and the highest quality saw blades for any metal cutting application. Our Porta-Punch is the quickest and easiest way to punch up to 13/16" Round Holes in 1/2" thick mild steel on the job site! Compact and lightweight design in a portable drill to make your job site or production facility more productive. All the information you need to get the right tools and get the greatest value for your tooling dollar. Request a quote on-line or call our expert sales staff. We will be happy to assist you.